January is quickly coming to a close, and it is a good time to review your 2019 plans to determine if the right systems are in place to achieve the sales growth and other goals you’ve set for your business. This week’s Small Business Accelerator includes solid sales, marketing and branding ideas that will help you and your team more effectively and efficiently promote sales growth. If it isn’t already, protecting data must be a priority for your small business. Besides being the right thing to do for your customers and employees, it’s the smart thing to do. The reputational cost of a data breach could destroy your business. In addition, many states are taking California’s lead and enacting strict and costly data privacy laws. Twenty-six states are considering such laws. That is why SBE Council is working on “one set of federal rules” for data privacy, as complying with a 50-state regulatory regime would be a costly nightmare for small businesses. In the meantime, it is critical that your small business do all it can to protect its data. Let your customers know that their data and privacy are priorities for your business. January 28 is officially DATA PRIVACY DAY. But small businesses must do all they can to protect and secure data every minute of every day! 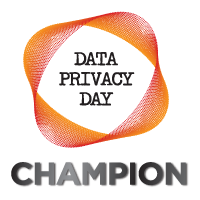 SBE Council is a DATA PRIVACY DAY partner. Here are some excellent resources and tips to protect the data of your small business, customers and employees. Steps to Take for Better Data Security, Big Ideas for Small Business. “It’s not news that small businesses are targets for cyber attacks that compromise their prized data. This can leave their data on customers and employees at risk and cost on average $86.5 thousand in legal compliance matters when there are breaches (e.g., informing those customers and employees, providing identity protection monitoring, restoring corrupted data).” Here are some basic steps to beef up security and protect your data. Having difficulty reaching new qualified customers or clients? Need more referrals but can’t seem to find new referral partners?